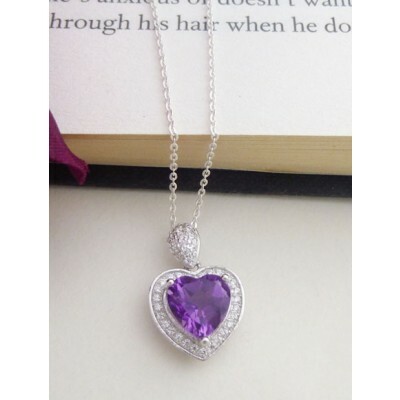 A gorgeous gift, the Amore features a stunning, deep Amethyst cut and polished shaped heart cut surrounded by a CZ halo and all set in 925 sterling silver, a stunning present representing heart felt love. The Amore features a heart in a deep purple colour made from a single Amethyst gem stone set in sterling silver and surrounded by sparkling cubic zirconias. 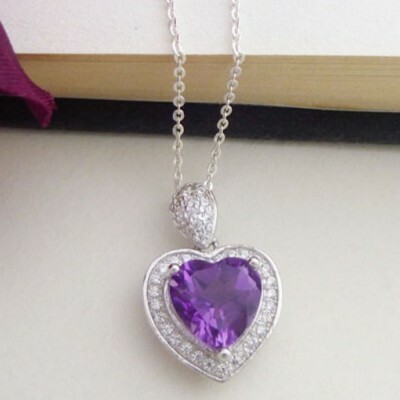 If you are looking for a present that represents your love for someone, this purple heart pendant necklace is a great choice. Young, sparkly and yet stylish, it works well with day or evening wear, keeps your love close to your heart and is dazzling around the neck. 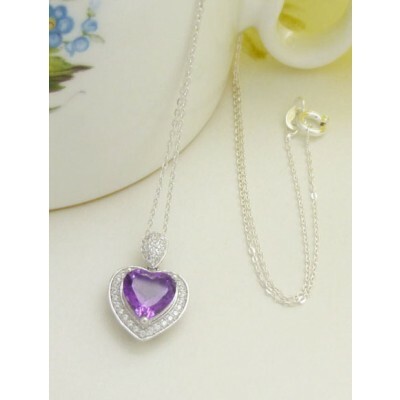 The Amore Amethyst heart pendant necklace features a single Amethyst gem stone that is cut into a heart shape. This embedded into a sterling silver backing and is surrounded by a halo of sparkling clear cubic zirconias. 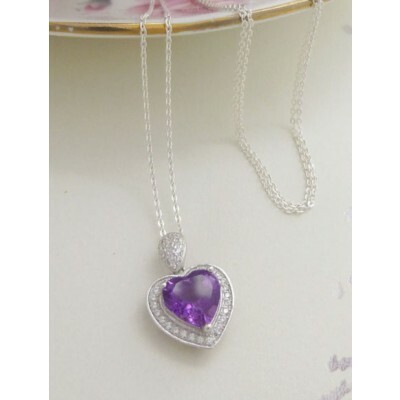 The purple and violet heart pendant is approximately 12mm in length and width and comes with a choice of sterling silver necklace chain available in three different lengths. 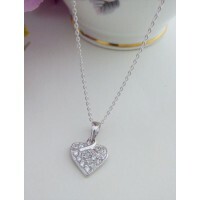 Heart pendant measures approximately 12mm in length and width.